​Join us for our exciting and very busy 4-day bus tour from Toronto to Chicago over the Labour Day long weekend from Sat Sept 1 to Tue Sept 4, 2018. Three nights hotel accommodations at the Springhill Suites by Marriott. Three hot buffet breakfasts included. 3-hour guided bus/walking tour of Chicago included. Deluxe 2-hour lunch cruise on the Chicago River with Odyssey Cruises included. Admission and ride to the top of the John Hancock Tower, also known as 360 Chicago, included. 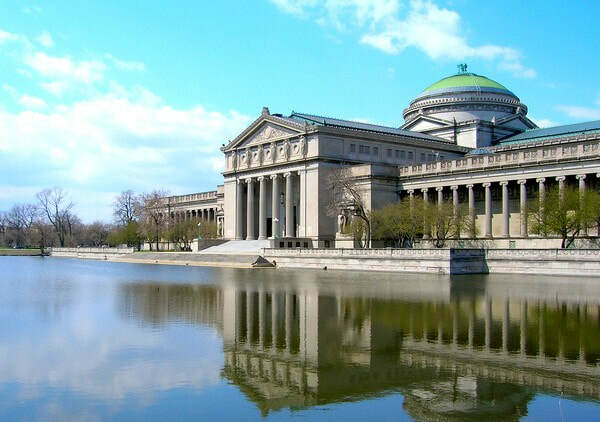 Admission to the Chicago Museum of Science & Industry included. 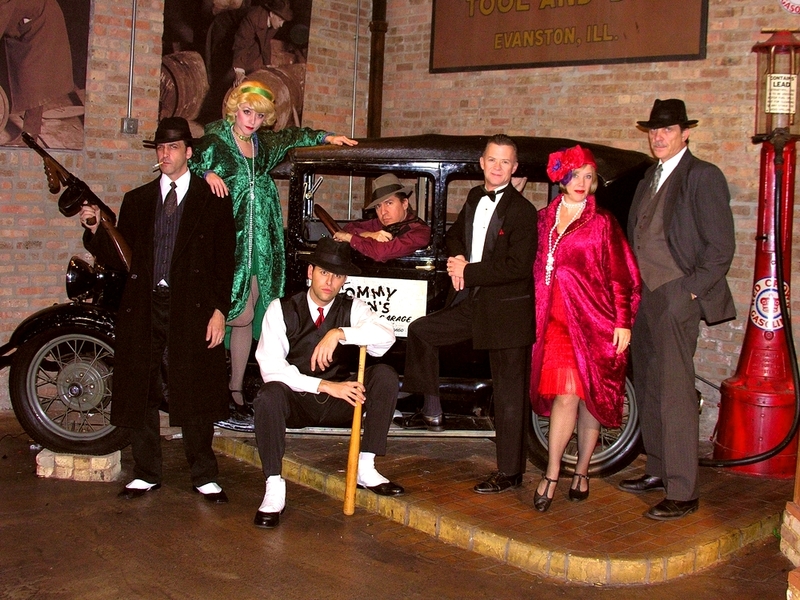 Dinner theatre evening filled with Chicago gangsters and molls at Tommy Gun's Garage. This dinner theatre experience is optional and not included in the standard tour price. See price and details below. Explore the Magnificent Mile, Water Tower Place, Navy Pier, Millenium Park and the "bean". Complimentary bottled water and snacks during the tour included. Escorted tour with ShortTrips.ca tour director available at during the tour. 7:30 AM • Vaughan Carpool Lot, Hwy 7 & Colossus Ave.
8:30 AM • Mississauga Carpool Lot, Hwy 401 & Hurontario St.
11:10 AM • London, Flying J Travel Centre, Hwy 401 & Highbury Ave.
We do not charge single supplements or surcharges! Are you travelling by yourself? We guarantee to find you a roommate of the same gender or we pay the surcharge! Sorry but no refunds with less than 35 days notice before departure. Emergency medical insurance is highly recommended for all passengers. If you do not have coverage under an existing policy, please contact us at (905) 891-0111 and one of the agents will be happy to make arrangements. 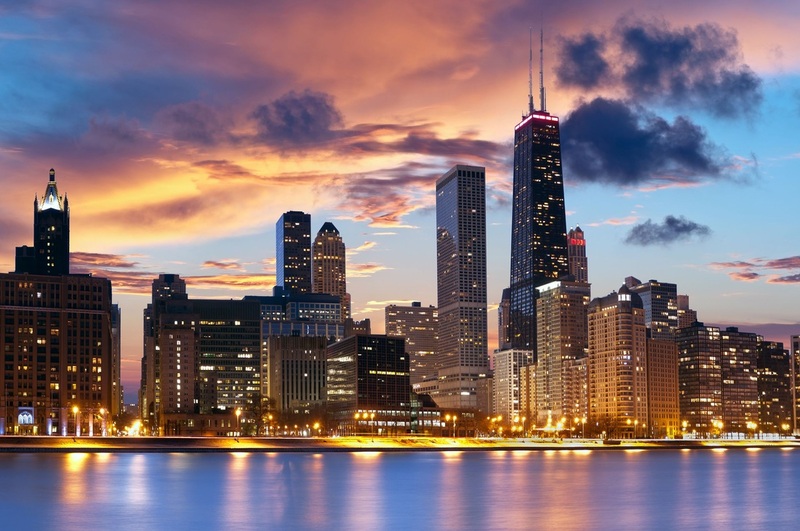 Conveniently located along Chicago’s famed Magnificent Mile, 360 CHICAGO soars 1,000 feet above Lake Michigan and the city’s majestic skyline to offer you the most breathtaking views of downtown Chicago, the lakefront and four neighboring states. Your tour package includes admission and elevation to the observation deck. Our tour includes a 2-hour lunch cruise on the Chicago River aboard this European-inspired, glass-enclosed vessel. A lovely lunch, light narration and music included. Get stunning views of Chicago’s rich architectural heritage, with dramatic views of residential and office buildings along the river. During this cruise you will discover a wide range of architectural styles designed by notable architects Mies van der Rohe, Bertrand Goldberg, and Skidmore, Owings and Merrill. Housed in the former Palace of Fine Arts Building, this is a unique venue to visit and explore. Among the museum's exhibits are a full-size replica coal mine, German submarine U-505 captured during World War II, a 3,500-square-foot model railroad, the command module of Apollo 8, and the first diesel-powered streamlined stainless-steel passenger train, the Pioneer Zephyr. You can easily spend a week at Navy Pier. Take a ride on the 15-story tall Ferris wheel or delight in the computerized fountain found in Gateway Park. Wander the promenades, marvel in parks, gardens and structures, or explore the many shops and eateries. 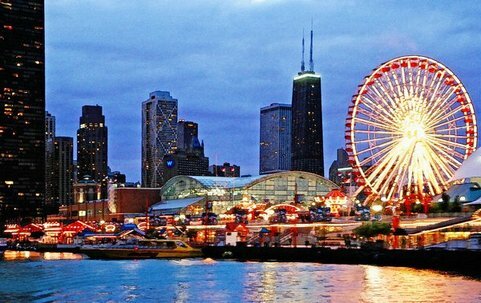 Navy Pier’s 50 acres of entertainment offer an unparalleled experience. Not long after the turn of the century, in a decade known as the Roaring Twenties, the manufacture and sale of alcoholic beverages was outlawed and strictly prohibited. Nevertheless, men like Al Capone and his mafia family refused to adhere to the law, opening illegal speakeasies across the city of Chicago, offering alcohol, gambling and hotbox entertainment. Tommy Gun's Garage is an Audience Interactive Speakeasy that offers a musical comedy review wit da gangsters, da flappers and YOU!!!!! (uh, audience participation). After a delicious sit-down dinner, join Vito, Gloves, and da gangsters and da flappers for non-stop comedy and dangerous fun. We will be visiting Tommy Gun's dinner theatre on Sunday night. The dinner theatre is optional and is not included with the tour price. The regular price of the dinner theatre is US$ 67 per person. At current exchange rates, that is approximately C$90. For those of you who wish to join the group, we are receiving a discounted price of CDN$60 per person. This price includes the show, dinner, taxes and tips. Fresh baked lasagna with marinara or meat sauce. Roasted prime rib big enough for da boss, served with au jus. Boneless breast of chicken with your choice of mushroom or lemon herb sauce.